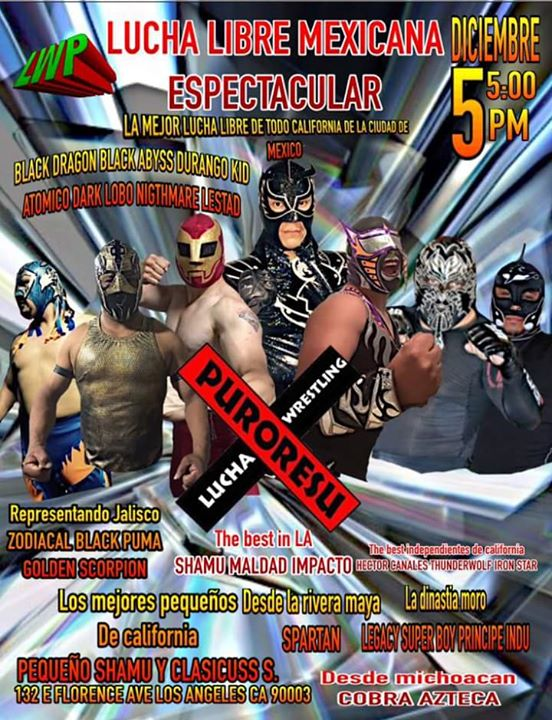 Daga's group is back to being Anarquia. 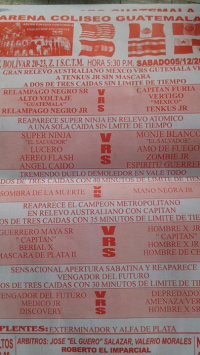 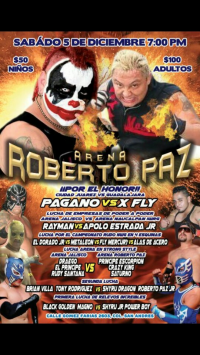 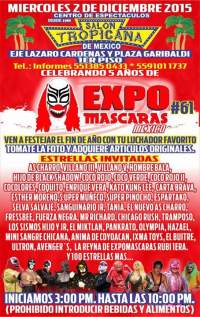 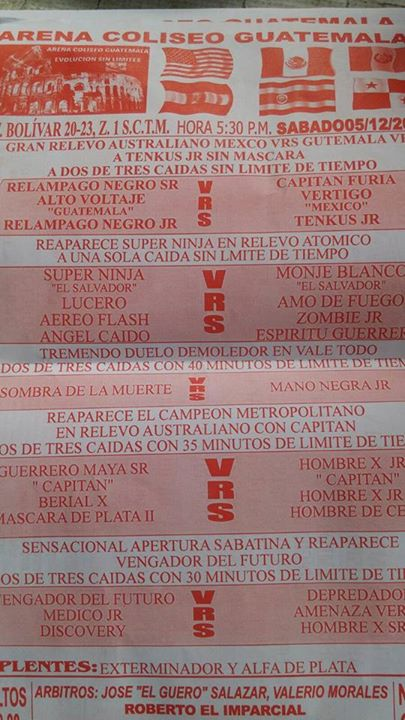 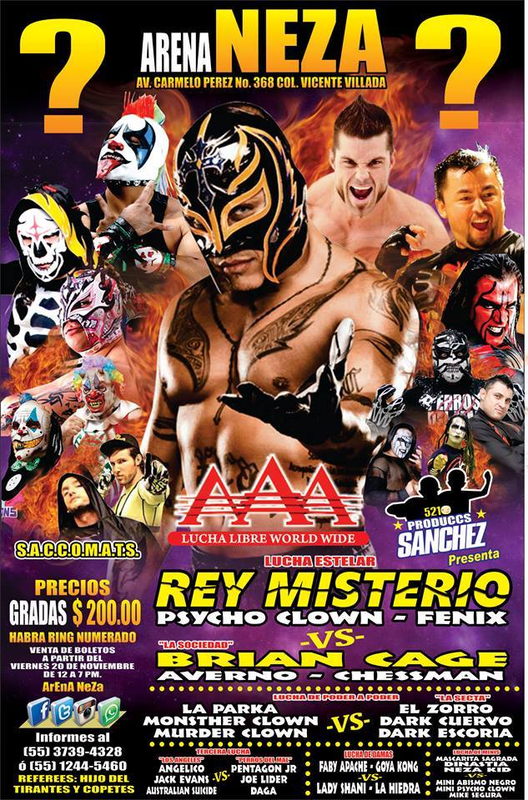 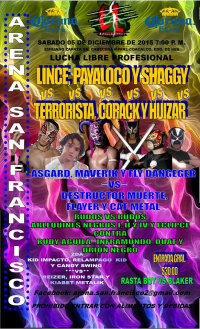 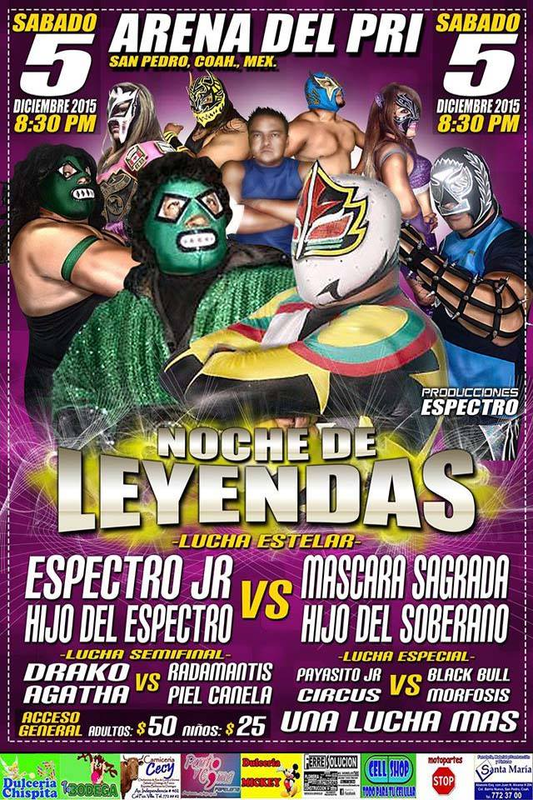 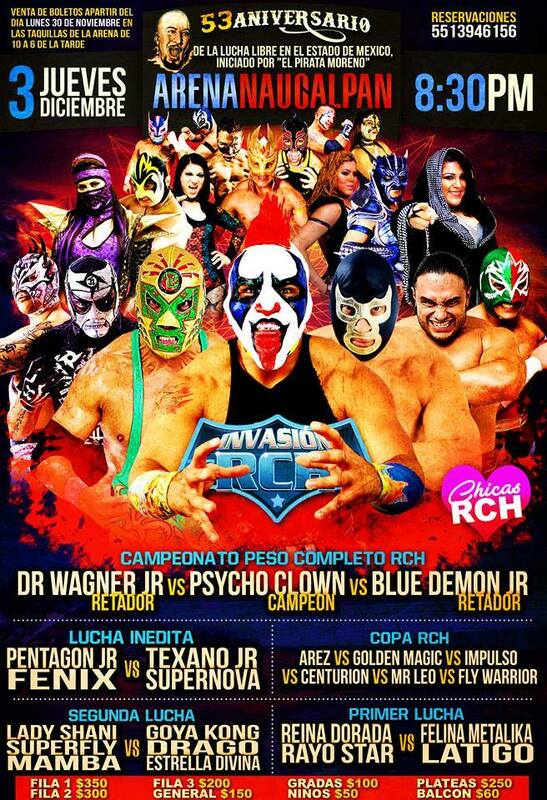 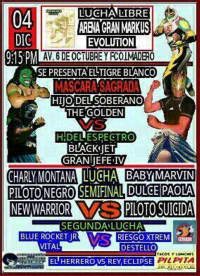 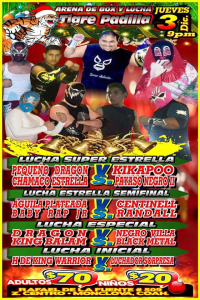 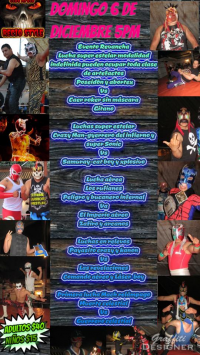 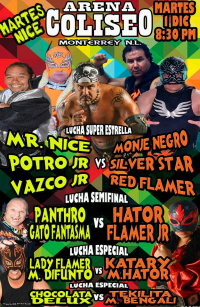 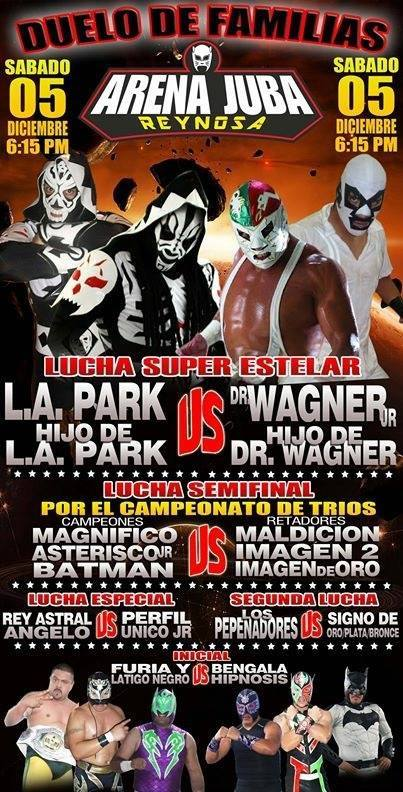 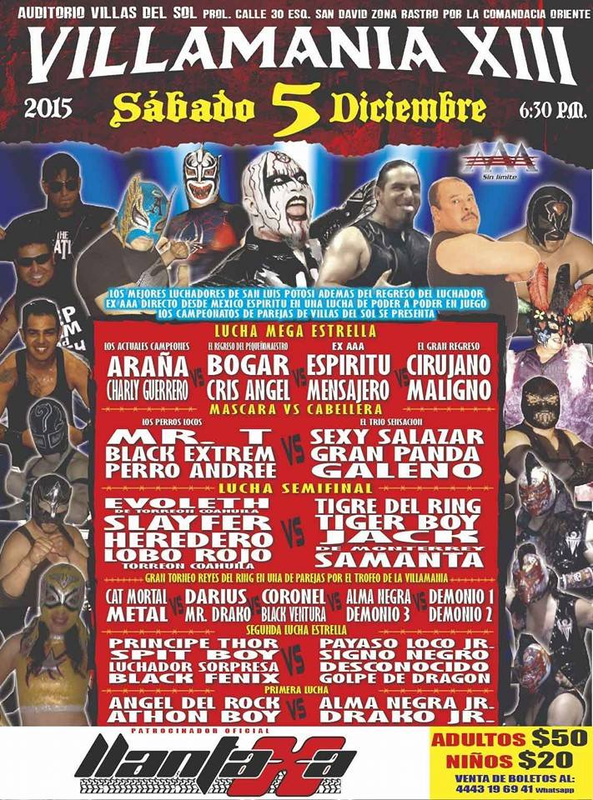 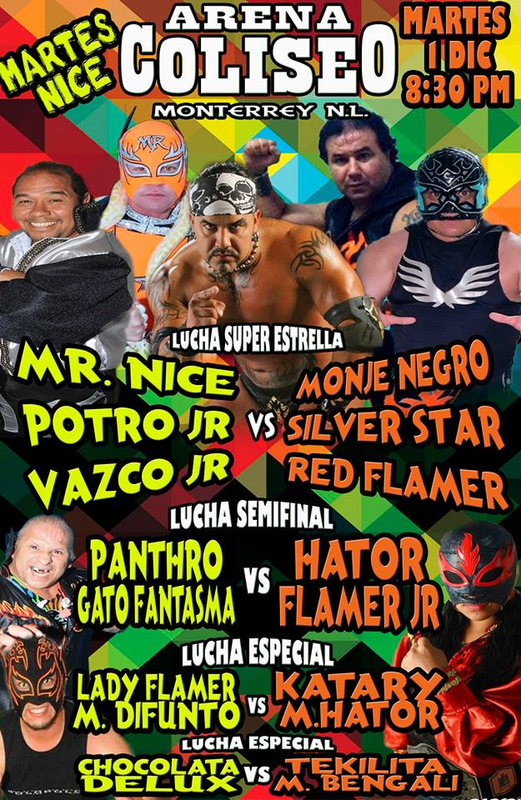 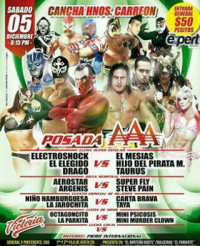 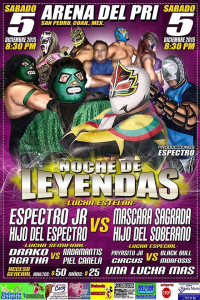 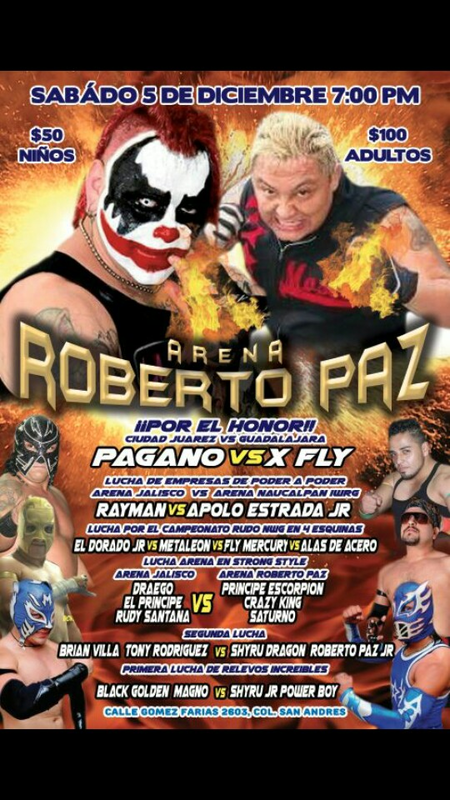 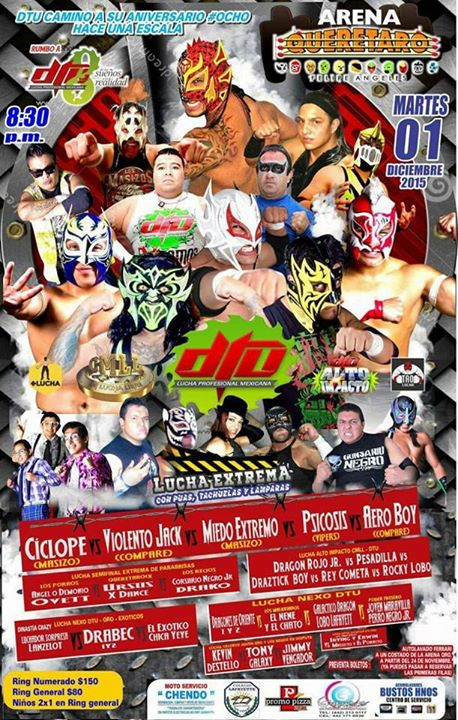 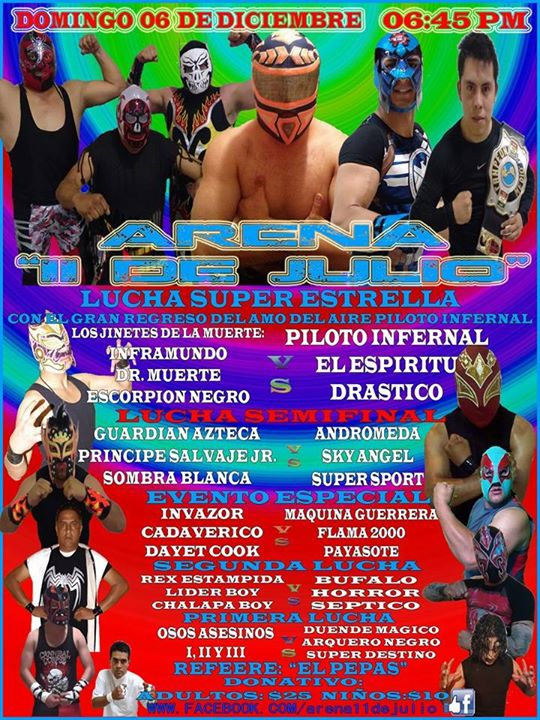 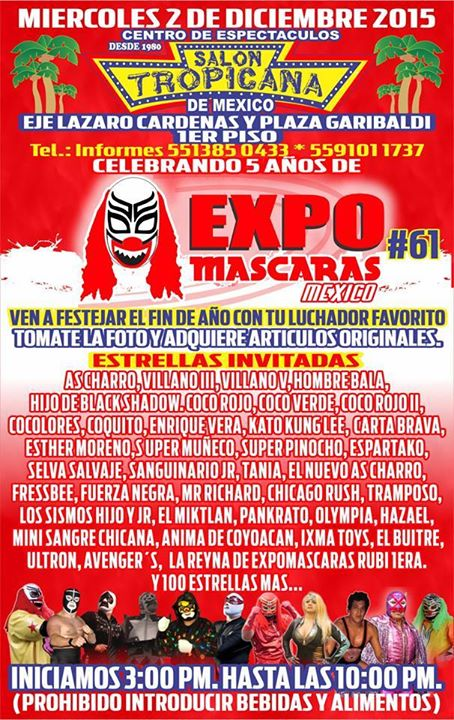 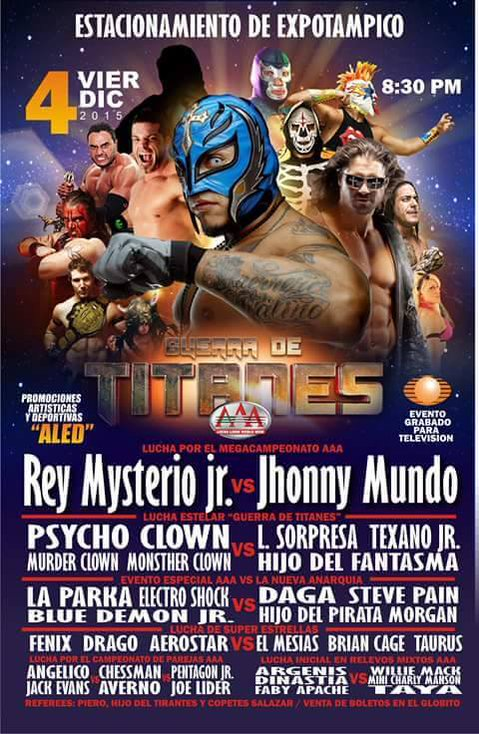 5) Monsther Clown, Murder Clown, Psycho Clown NC ?, Hijo del Fantasma, Texano Jr.
Added match. Fireball beat Soul Rocker with a Flama Fly. 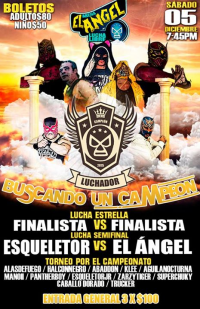 Venum was sort of a fill in for Mascarita Sagrada, as the opener got split in half to add another match. 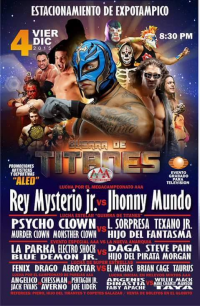 Dinastia beat Mini Psycho Clown with the Tulancingo Special. 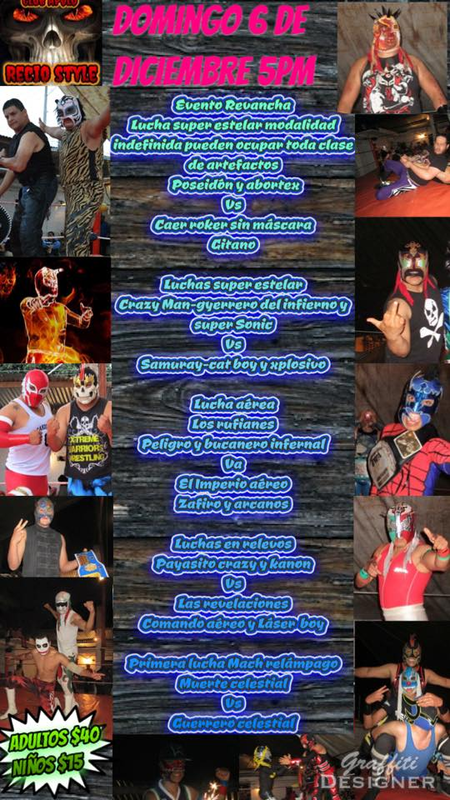 Pentagon, Daga and Lider destroyed the tecnicos and dedicated it to Perro Aguayo Jr. Suicide got a surprise win over Daga, but Daga took his mask and Pentagon laid out Evans again. 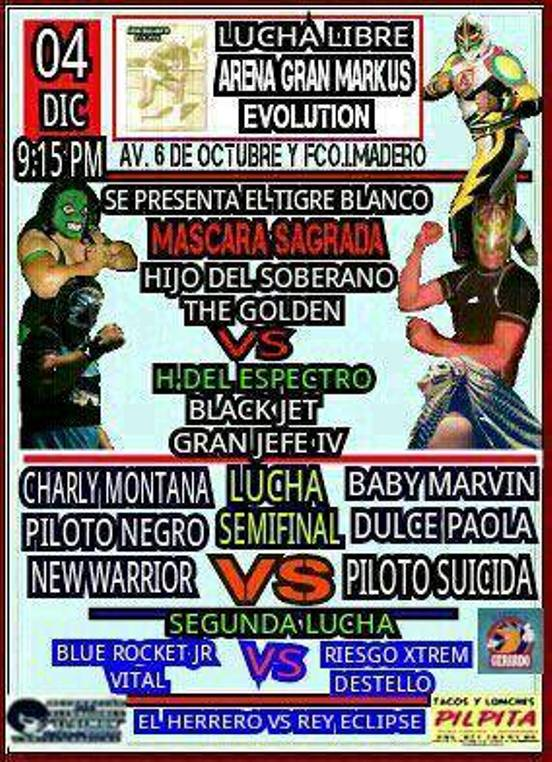 Daga challenged for a mask vs hair match (Suicide didn't respond) while Pentagon & Lider are still going after the tag titles. 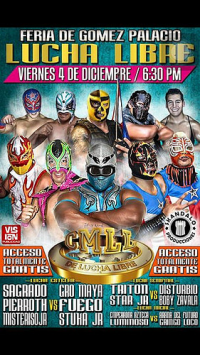 Rudos get their first win as an official trio. 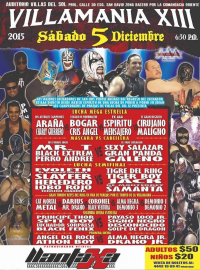 Averno appeared as scheduled. 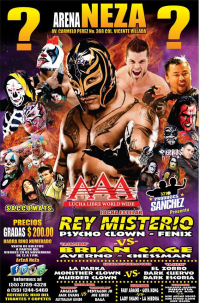 Rey Mysterio appeared on crutches and said he was unable to wrestle. 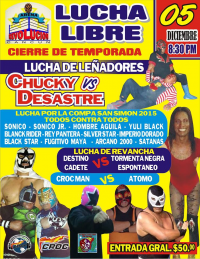 Rudos attacked, with Blue Demon appearing to make the save - Rey still got in a 619. 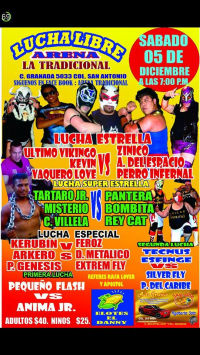 Fenix won with a 450 splash on Chessman. 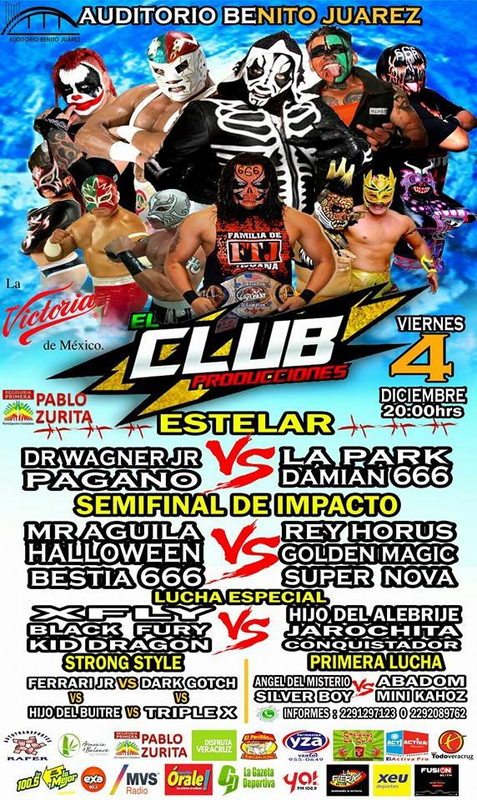 Event Notes: Originally announced as being either 12/04 or 12/05. 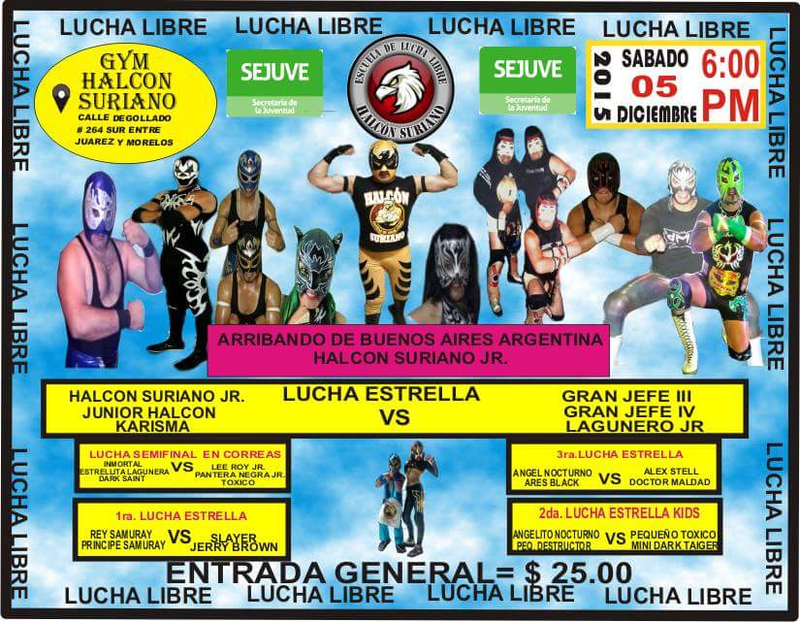 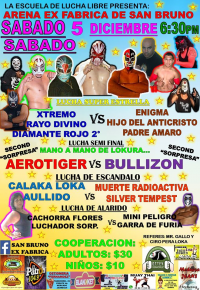 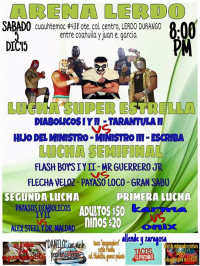 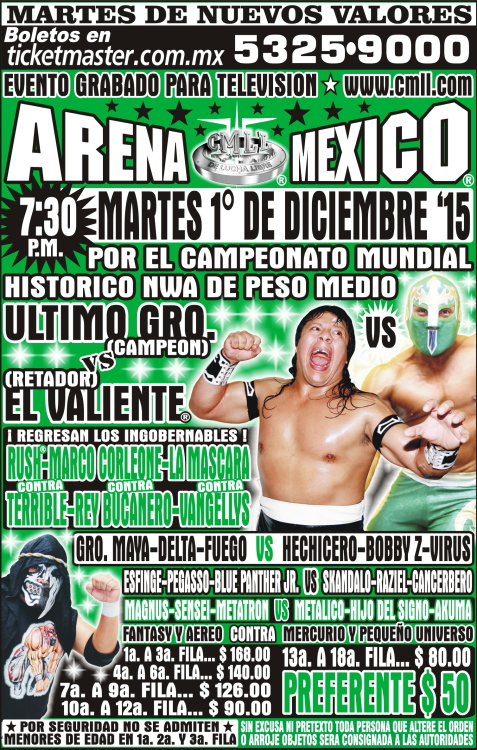 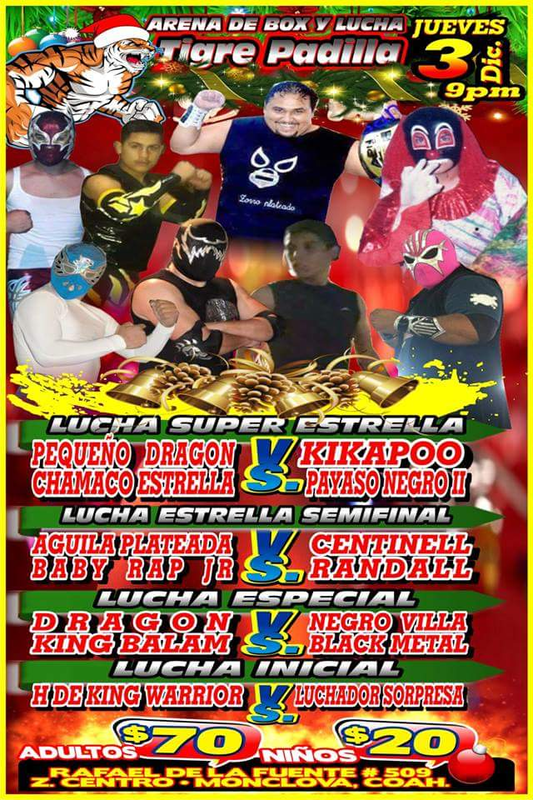 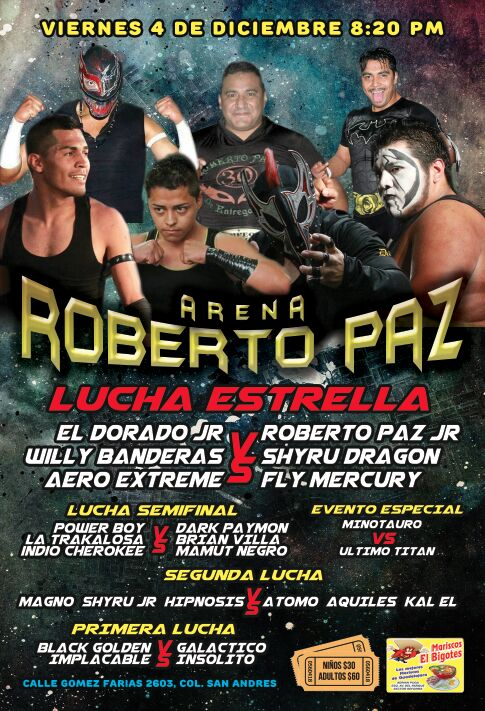 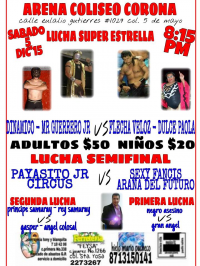 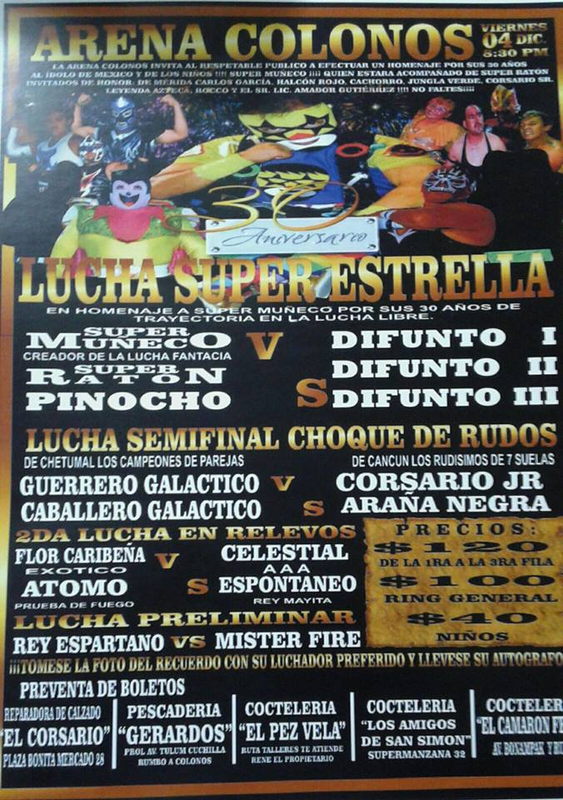 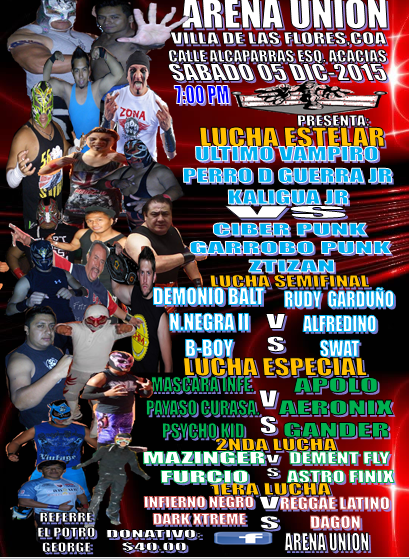 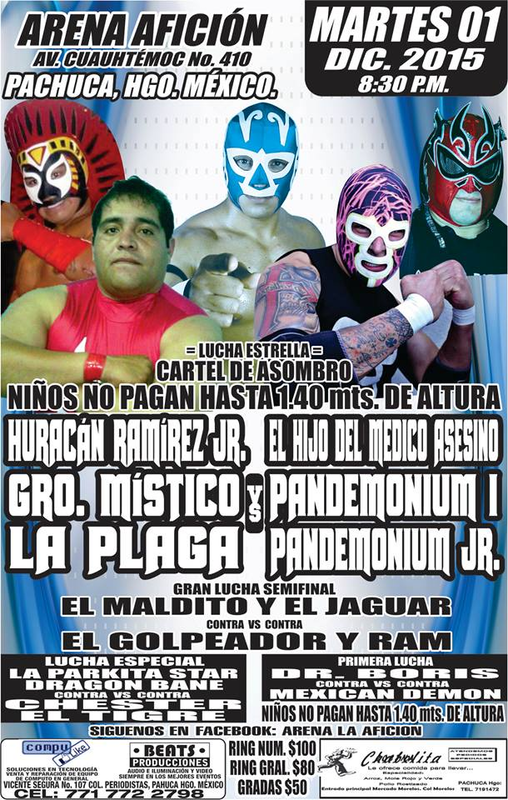 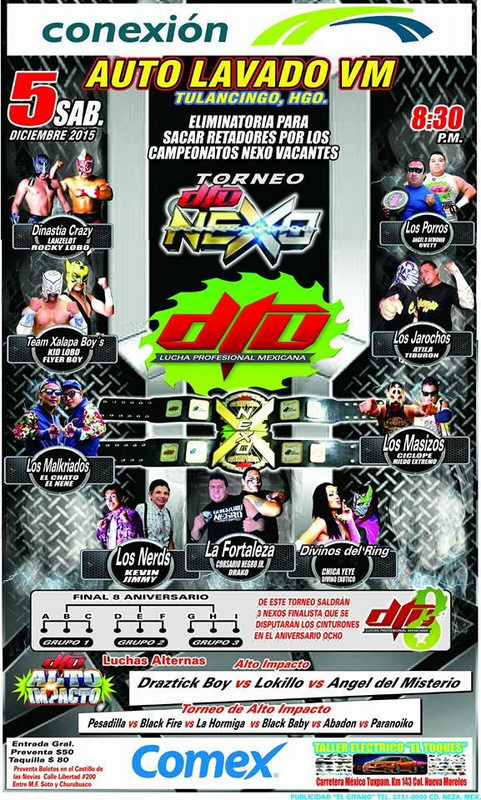 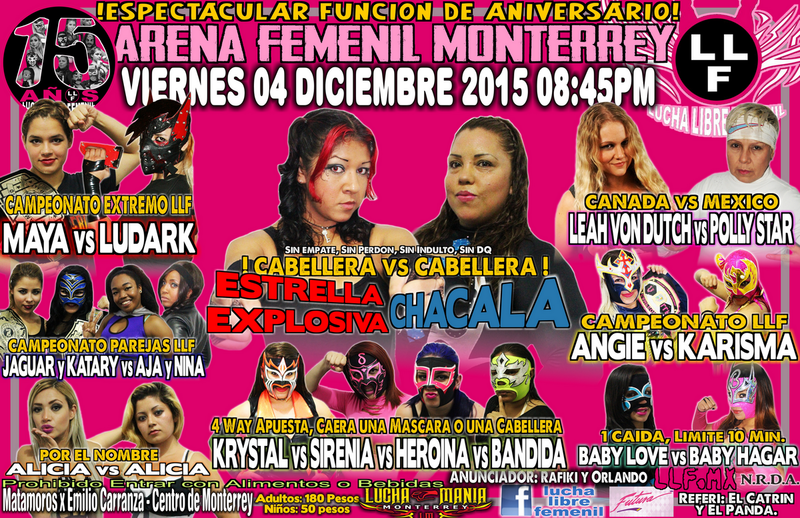 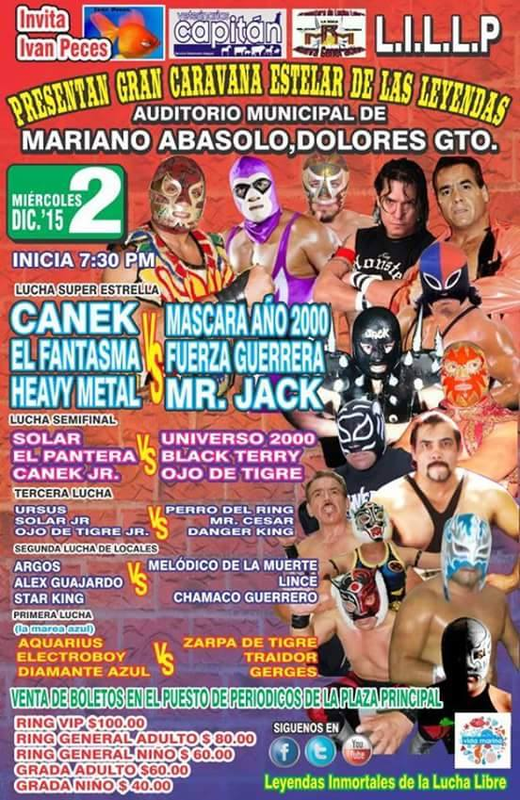 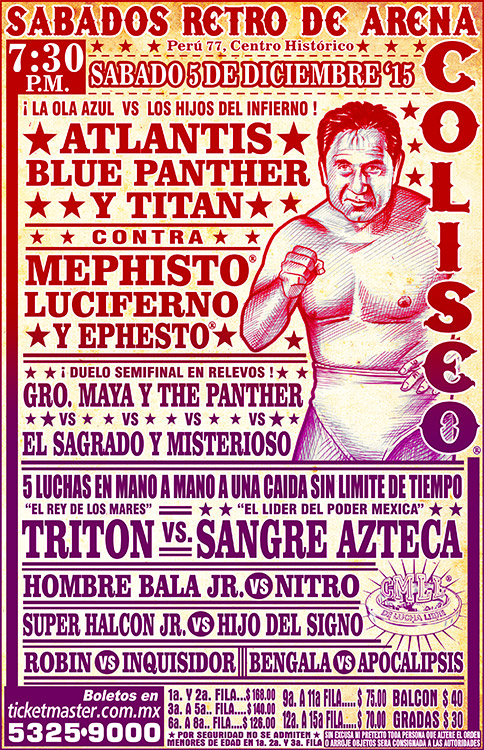 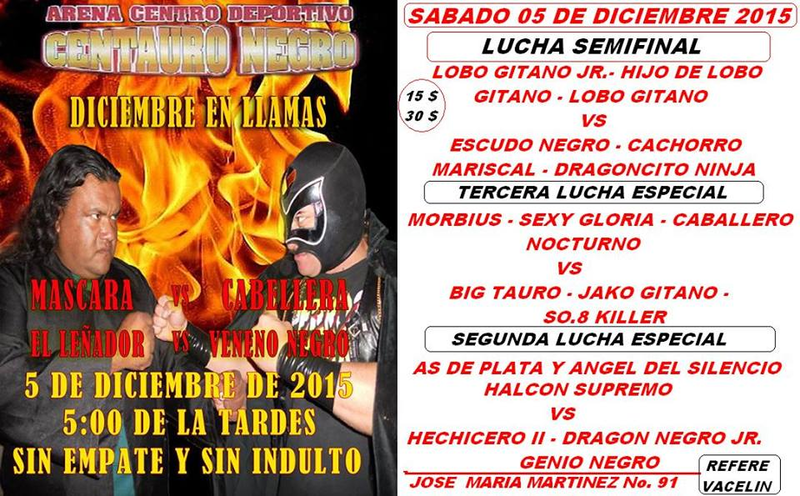 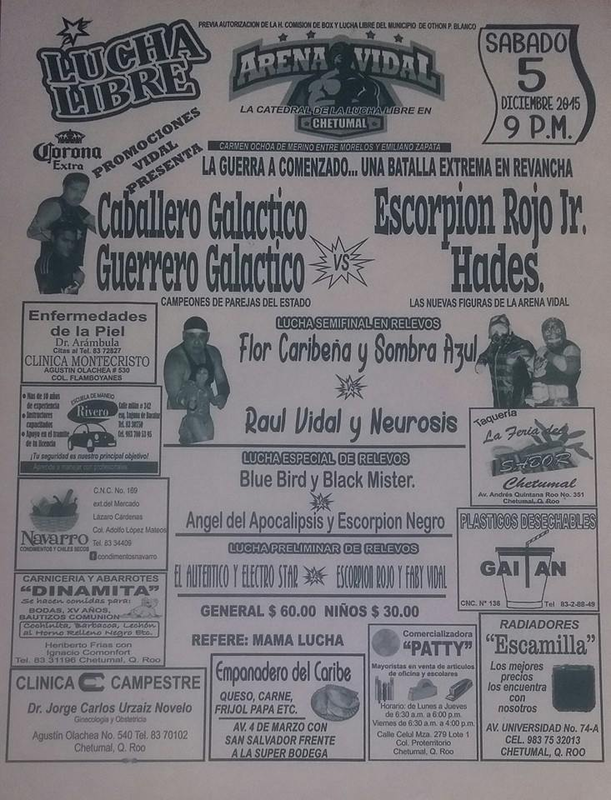 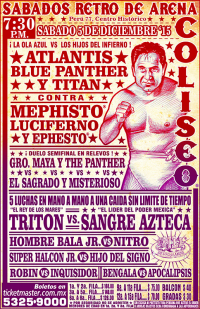 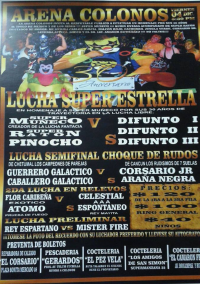 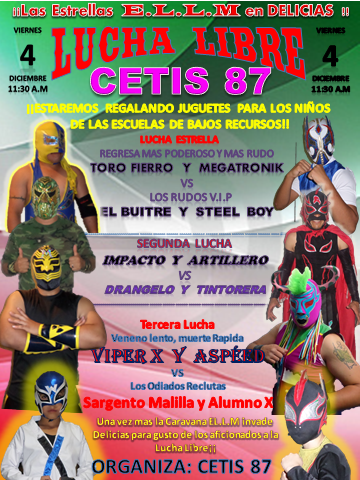 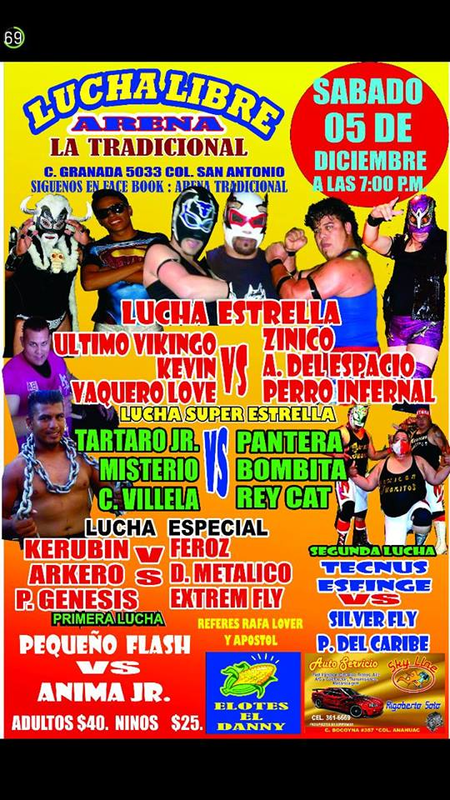 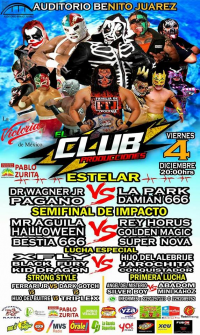 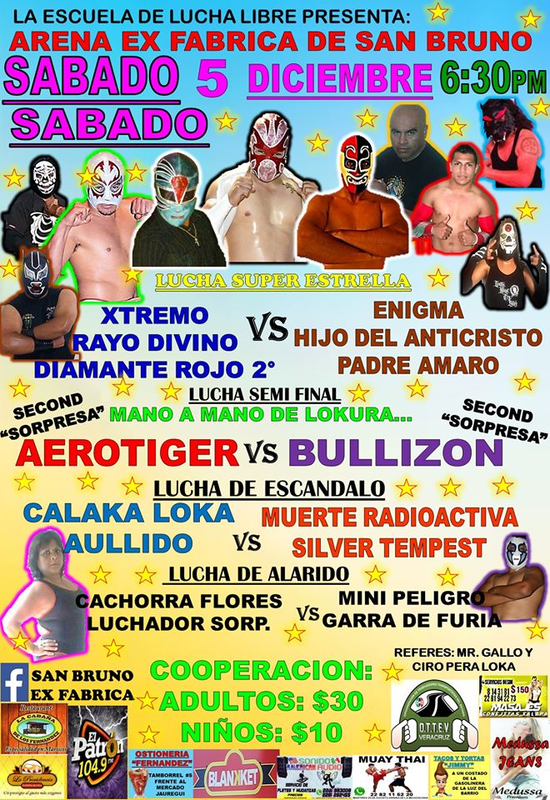 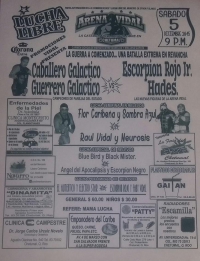 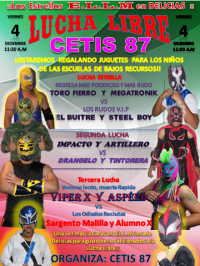 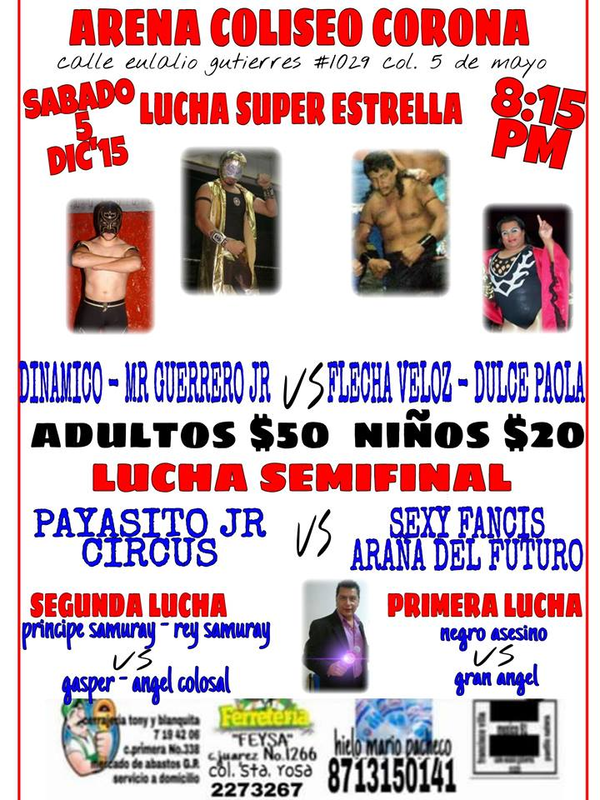 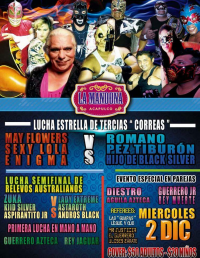 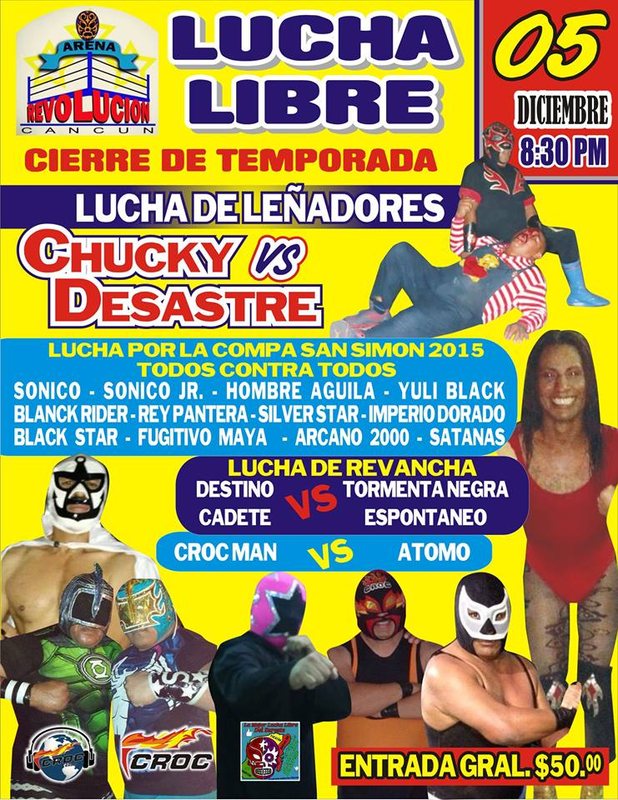 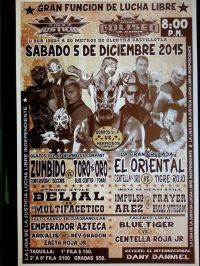 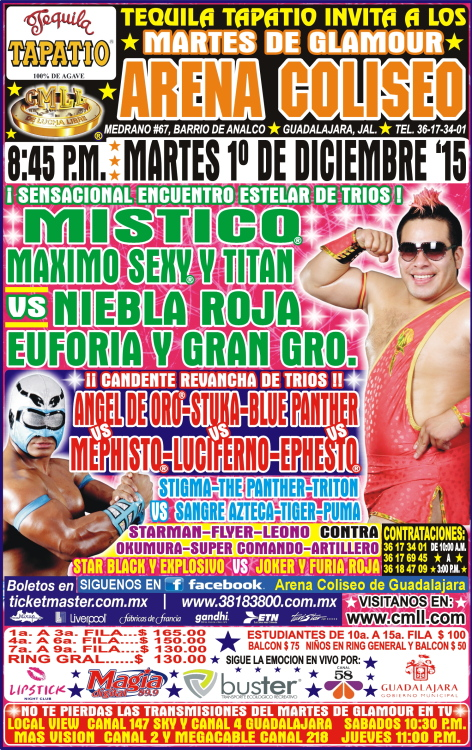 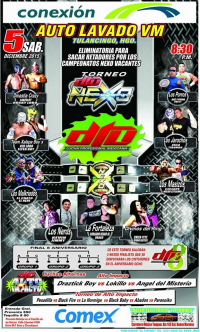 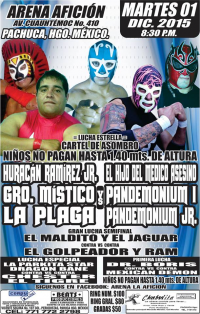 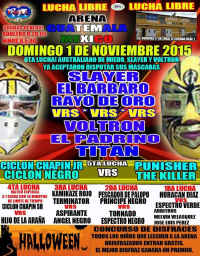 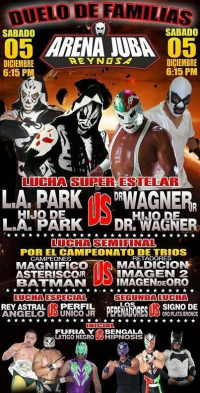 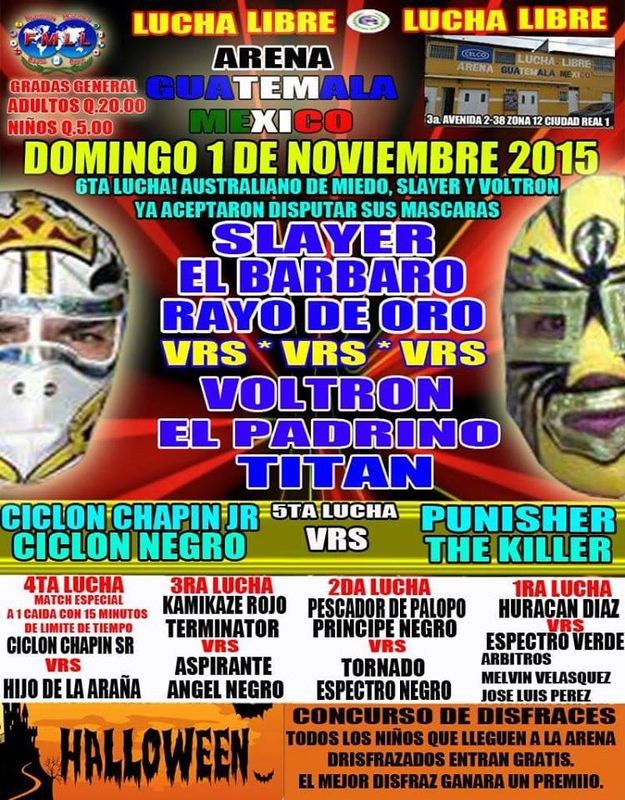 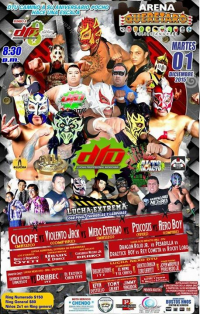 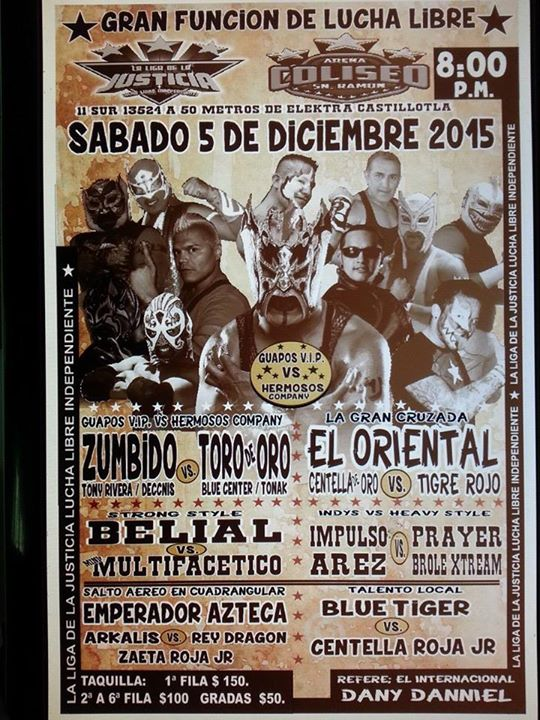 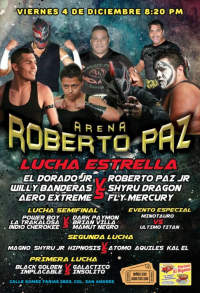 Set as 12/05 when Guerra de Titanes was announced for 12/04. 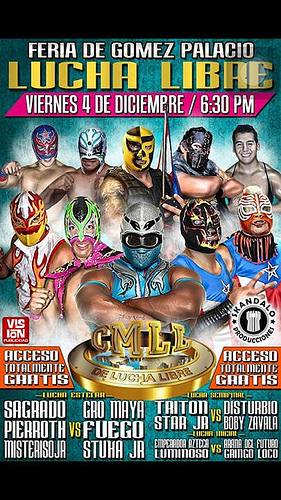 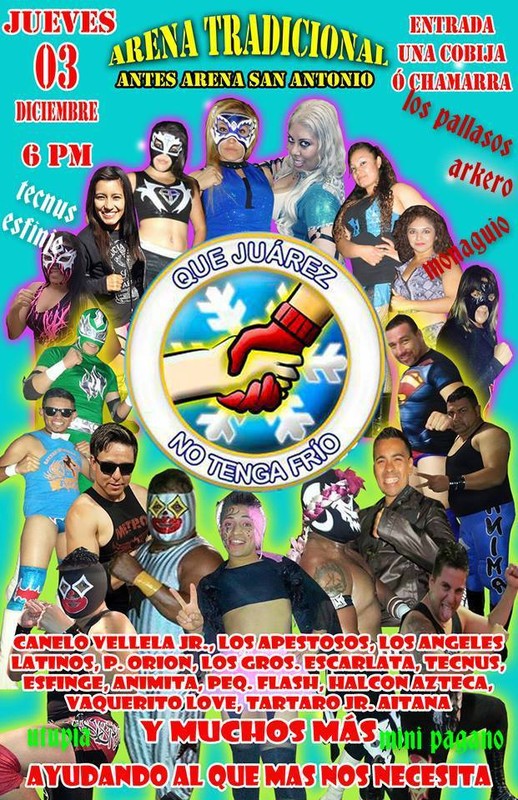 Became a TV taping after Guerra de Titanes was canceled. 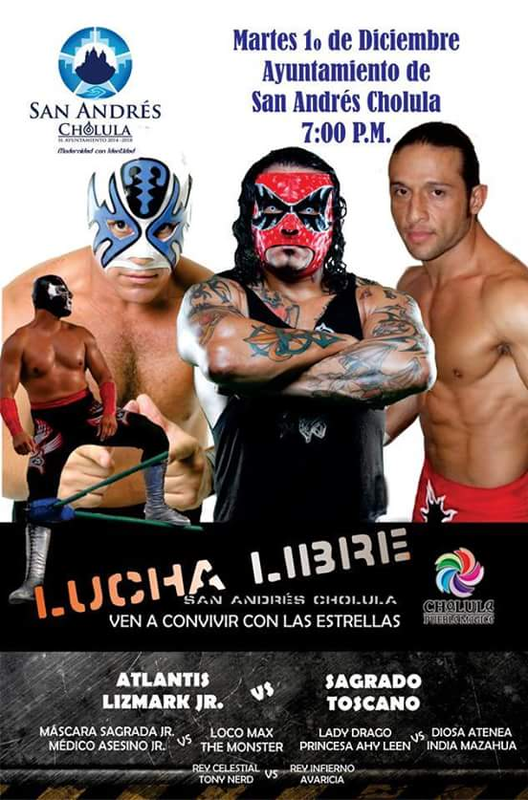 Show appeared to be a sell out.